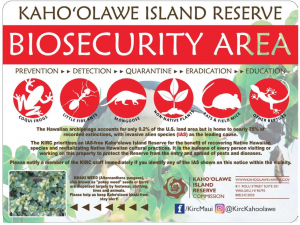 The Kaho‘olawe Biosecurity Plan was prepared by KIRC staff including Lyman Abbott, James Bruch, and Paul Higashino. 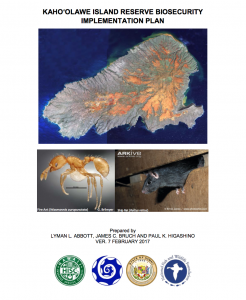 Funding support to produce the plan was provided by an FY16 award from the Hawaii Invasive Species Council. The full plan is available below and more information is available on the KIRC website.